Oct. 23, 2018 — Governor Scott Walker has proclaimed Nov. 5-11 as Startup Wisconsin Week throughout the state to celebrate the achievements of Wisconsin’s entrepreneurs and to promote efforts to provide additional support for startups and early-stage companies. The week is organized by Startup Wisconsin, a new initiative committed to advancing and developing Wisconsin’s tech and startup ecosystems through unique programming, collaborative partnerships and networking. Workshops, startup pitch competitions and “hacker” events, seminars, roundtable discussions, meetups, social activities and other events will take place in 12 Wisconsin cities: Appleton, Beloit, Eau Claire, Fond du Lac, Green Bay, Kenosha, La Crosse, Madison, Milwaukee, Racine, Sheboygan and Stevens Point. (Click on each link to view a local schedule.) All events are free and open to the public. The week will kick off on Nov. 5 with a “State of Milwaukee’s Startup Ecosystem” town hall meeting in Milwaukee in which leaders from startups, venture capital and economic development organizations will discuss the state of the city’s startup ecosystem. Also on that day, dozens of startups from the region’s top accelerators and entrepreneurship training programs will demonstrate their products at the Startup Milwaukee Showcase. Milwaukee: NEWaukee Speaker Crawl on Nov. 7, is an interactive professional development program that simultaneously features numerous speakers who will discuss the important issues facing Milwaukee and provide tips for personal and professional growth. Racine: Startup Racine Week Kickoff event on Nov. 5 will feature Mayor Cory Mason and leaders from city and county organizations who will help celebrate the city’s history of innovation and kick off a week of connecting, educating and celebrating entrepreneurs. Kenosha: Eisley Creative records will air a live episode of their “Be Original” podcast before a studio audience on Nov. 5. Guest Matt Cordio, founder of Startup Wisconsin, will discuss the statewide initiative. Madison: The Wisconsin Technology Council‘s Early Stage Symposium on Nov. 7-8. More than 600 people are expected to attend the conference, which will provide startups with a chance to engage with angel and venture investors from Wisconsin and beyond. Beloit: The Beloit Startup Showcase event on Nov. 5 will feature five companies located in the Irontek co-working space pitching and participating in Q&A. The event also will include networking, live music and tours of Irontek. Fond du Lac: The Imagination Network Award Ceremony and Entrepreneurial Showcase on Nov. 6 features a showcase of various entrepreneurial talent and the presentation of the second annual Award for Entrepreneurship, sponsored by Alliance Manufacturing. Startup Wisconsin Week is supported statewide by WEDC, Advocate Aurora Health, Concordia University Wisconsin, Husch Blackwell, Northwestern Mutual, the Milwaukee Business Journal, Answerport, Accelity Marketing, Headway, Wisconsin Inno and Newsradio 620 WTMJ. Startup Wisconsin is committed to advancing and developing Wisconsin’s tech and startup ecosystems through unique programming, collaborative partnerships and networking. 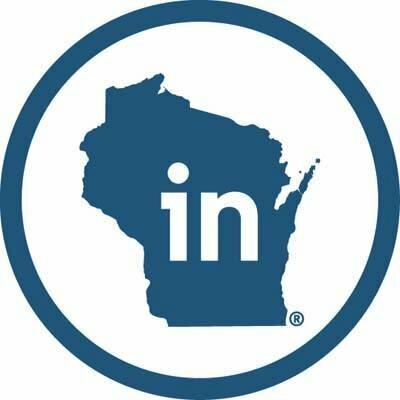 The organization is driven by entrepreneurs and leaders throughout Wisconsin who are passionate about making a difference and creating a positive and lasting impact that will advance the state’s economy.